We believe that artists are a crucial ingredient generating the creative energy that our community needs in a rapidly changing and perplexing world. Three Lakes is not immune to such global phenomena as climate change, invasive species, the technology revolution and economic collapse. We need to be resilient and innovative-—qualities nurtured by exposure to, and participation in the creative arts. We are better able to embrace change and to grapple with new challenges and circumstances as a “creative community”. It is our dream to build “a magical place” with creativity humming around it, an intimate, welcoming space for the whole community to play together and remember how fun it is to be creative, foolish, and inspired–how to take chances, make mistakes, and enjoy doing it. 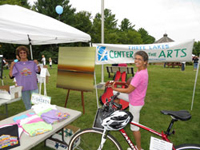 Three Lakes Center for the Arts was established in 2003 by a group of people who wanted to make the arts more visible in our local community. We wanted to showcase local artists and to encourage residents, young and old, to make creativity part of their lives. It is now a nonprofit organization without use of tax support. We have a roster of 75 artists; 275 dues-paying members and about 100 hard-working volunteers. We also have a Board of Directors who meet at least monthly (more often as needed) and hold their annual meeting in June. Our mission is to celebrate and promote The Arts in the Northwoods. We want to connect people to the arts and make the arts a defining feature of our community. We do this by facilitating and fostering the enriching interaction between artists and the community we live in. TLCFA finds many ways to celebrate our artists and involve the community in art projects. We are serious about the vital role art plays in the cultural and economic health of our town and we also want art to be fun. When TLCFA was formed, we invited the entire town to a brainstorming session where everyone was encouraged to offer program suggestions. We learned in this session that through our members is the basis of our growth and success. 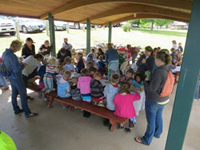 We maintain a strategic balance of programs and activities to meet the diverse needs of the Three Lakes Community. Community support is, and will continue to be, an essential part of our mission. Read through our web page and you will see what that balance is all about from live event, to movies, events by the Local Library and Historical Society, lectures on topics of interest, youth programs, a Monthly Artist in Residence and use by the local community for business training purposes. We have public meetings such as the Oneida County Economic Development Group, the Future Business Leaders of America and musical recitals. We hold “meet and greet” the artist of the month receptions, hold an annual cooking contest, have articles in the local Vilas County News Review and announcements of activities on the local Channel 12 TV. Community involvement and support is a key to our mission. Located in the recently renovated Three Lakes Center for Arts, we display the works of ‘Wisconsin’ artists. The Gallery is a great place to browse as there are many paintings, pottery, handmade jewelry, baskets, wooden carvings and more. A Gallery highlight is the work of local artists displayed on a monthly schedule and provides a venue for them to be viewed, appreciated and profit from their work. There is also an annual Art Show by the local High School students. We have judges select winners in different categories for the High School event. 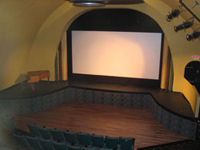 Our Theater has a classic Art Deco period atmosphere. We have upgraded seating for 120 patrons, a dance floor that is used regularly during live events, a stage and large movie screen. Live music is extremely popular and we strive to provide a variety of high quality entertainment each year. The movies and documentaries are well received as we survey our patrons to ensure we meet the needs of the wide spectrum of the Three Lakes community. An example of meeting the needs of a group of patrons is our work with the library, which includes what is known as LIR – Learning in Retirement. We have select events, such as cooking contests or wine tastings to pair with a compatible film. Our “Bistro” area is very popular, with popcorn, snacks, soft drinks, wine and beer. 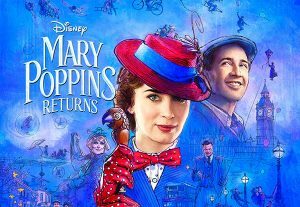 Our recent upgraded digital projection system and new sound system provide a true movie going experience. The main reason TLCFA is able to merge a classic Art Deco design with modern technology is through generous donations of our patrons. You will find our theater meets all the requirements for the disabled as required by the Americans with Disabilities Act. This has become a staple event for the Three Lakes Community. Art on Main is held the 2nd Saturday in August. The Art Show is juried by a local artist or teacher, with prize ribbons for the winners. There are 40 to 50 artists and crafters, music, beverages and excellent food. The event is popular with the Artists and we fill all the available spaces each year and increase the attendance. Two murals commissioned by TLCFA have contributed to the aesthetic appeal of our downtown. One, covering the formerly blank side wall of our landmark restaurant, the Black Forest, across from the Theater, depicts 13 historic buildings and the other shows a scene from our new Three Eagle bike trail. It is a beautiful trail which increases in popularity and use each year as it continues to develop. One of the highlights of our summer offerings is our children’s art programs. Visualize 50+ children with paint and crafts – it works with the help of dedicated volunteers. This takes place in the Maple Lake Park behind the Chamber of Commerce Office. Come once or for all eight free arts and craft classes during the summer. Our commitment to the Arts reaches into our local Schools. We support an annual arts enrichment program supplying an Artist-in-Residence to the Three Lakes school district that reaches approximately 300 students. 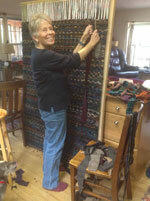 Our adult workshops, where artists share their skills and techniques (for a modest fee), occur throughout the year. 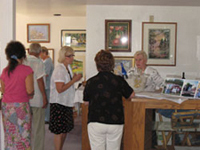 We also develop art tours to museums and galleries in Wisconsin. Visits have included the Milwaukee Art Museum, the Kohler Art Center and the Ford Theater, the Wildwood Film Festival in Appleton. These field trips have been productive with shared ideas and a bonding experience for our members and board. You’ll find information about our organization in the Vilas County News Review, the Rhinelander and Minocqua newspapers, two online news sites, and on our Facebook page. Our attention is focused not solely on summer tourists who attend our warm weather events, but also on the year-round residents of Vilas, Oneida and Forest counties. Among those year-round residents is a significant population of school-age children. We believe that the arts must be a vital part of any educational program, building the creative skills that students will need as productive adults.